Booted it up, configured it for wifi, and then ran sudo raspi-config to configure the file system expansion (option 1), internationalization (option 4), enabled SSH, and 256 memory split (both under option 8; I have a Model B). scped over some ROMs to the correct folders under ~/RetroPie/roms; for example, I copied over a Chrono Trigger rom ending in .smc under the snes/ folder. 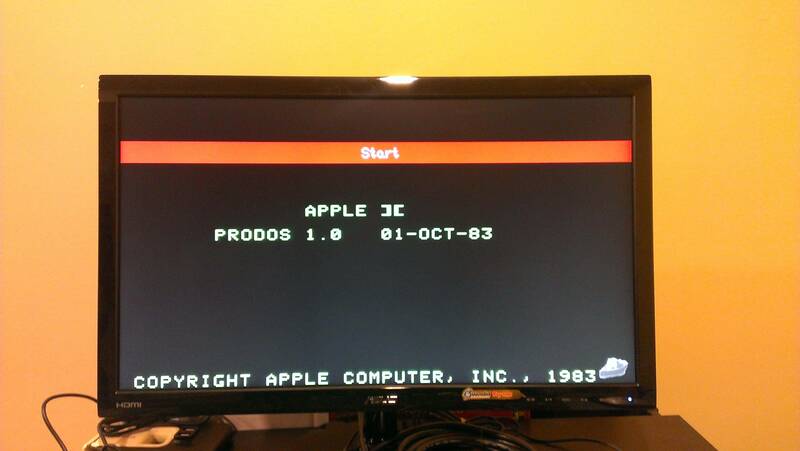 Rebooted it and started EmulationStation. 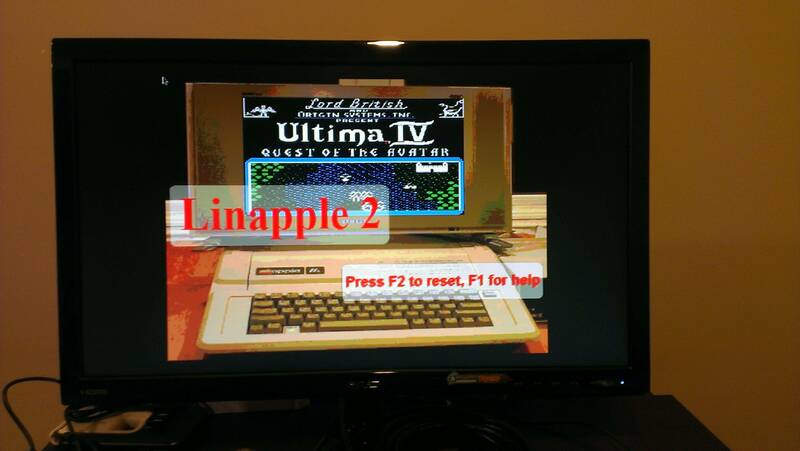 Except now I'm getting to the Linapple 2 screen, and yes, I've tried using the arrow keys to navigate between the emulators, but it doesn't work. COMMAND=/home/pi/RetroPie/supplementary/runcommand/runcommand.sh 1 "retroarch -L /home/pi/RetroPie/emulatorcores/pocketsnes-libretro/libretro.so --config /home/pi/RetroPie/configs/all/retroarch.cfg --appendconfig /home/pi/RetroPie/configs/snes/retroarch.cfg %ROM%"
# COMMAND=/home/pi/RetroPie/supplementary/runcommand/runcommand.sh 1 "retroarch -L /home/pi/RetroPie/emulatorcores/pocketsnes-libretro/libretro.so --config /home/pi/RetroPie/configs/all/retroarch.cfg --appendconfig /home/pi/RetroPie/configs/snes/retroarch.cfg %ROM%"
But neither configuration helps detect the ROM. I'm not sure what I'm doing wrong here. Any ideas? Wow, never mind, I'm a doofus. For anyone else who finds themselves here, I also had this problem but the fix was not so simple for me. In my case, after reviewing the es_systems.cfg file I noted that the file extensions list for my emulator did not include ".ZIP" which is how all of my roms are stored. Once I unzipped them and moved them into the appropriate roms folder on the Raspberry Pi, the emulator picked them up and they worked. This was the same for every emu I tried. VNC and Retropie- is it even possible?